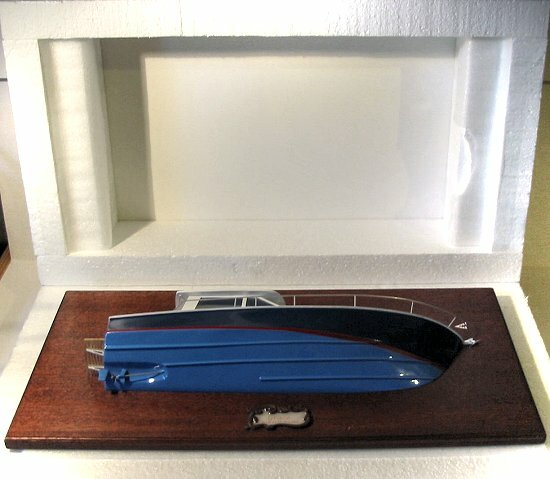 Shown below is a sample shipping case, custom built for a specific model yacht. The model hull is encased and resting on a foam bed. Straps are used to secure the model to the frame. 2x1's are used for the frame which is probably a little over-engineered, but I'd rather be safe than sorry. 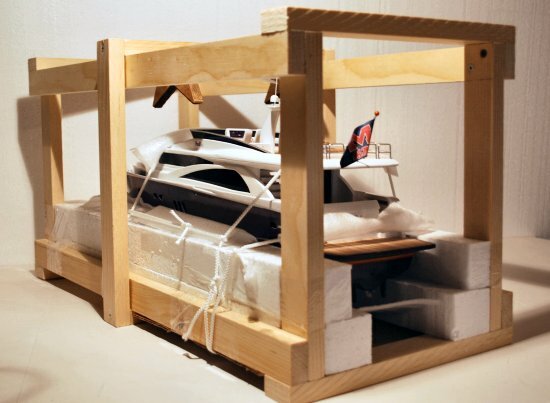 Half hulls or models are packaged in a styrofoam case. Half models have hanging hardware installed and are ready to go straight from the shipping case onto a wall or .... where ever you have intended her to go. Rubber feet are also provided to prevent the wall from being scratched and keep the half model from moving. Both half and full models are normally double boxed.